A sparkling encounter ... It is in Nice where Marie-Lise Bischoff and Christian Bousidan meet. Teenagers they evolve both in the same universe. Becoming adults, their destiny seperates them follows his own way ... Marie Lise Bischoff has the passion for stars. ‘ Nejma ‘ this is the way the grandmother of Marie-Lise nicknamed her tenderly when she was a child. Later, fascinated by stars, she spends nights contemplating the famous starry night of the Bay of Angels of Nice. Adult, she gets even closer to stars by working in an airline company, continuing her professional life in the communications office of the department of the Alpes-Maritimes. She touches the stars with her fingertips. Over the years, Marie-Lise discovers a passion for perfumes; normal it seems when you grew up a few miles away from the perfume city of Grasse. She decides then to make it her business and becomes distributer for Switzerland of a famous perfumer of the Place Vendôme in Paris. After a brilliant career as sales manager for prestigious labels such as Dior, Dior Lingerie, Gotex, Golden Lady. Christian Bousidan is an expert in the universe of Luxury. This experience now serves his passion for the Beautiful, the Rare ... The Perfume. Today their star gathers them around a common passion. Marie-Lise Bischoff and Christian Bousidan launch a new constellation in the universe of perfume and place the star Nejma within everyone’s reach. 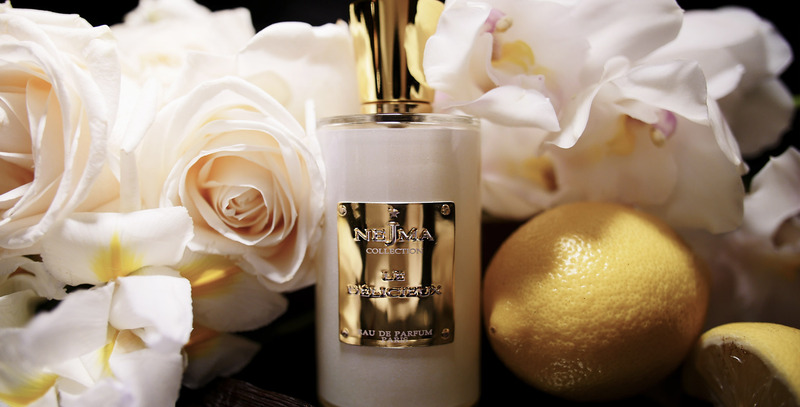 Such an inspiring muse, like a brilliant star by its brightness, Nejma guides the olfactive travelers towards the roads of East, of Byzantium and the Provence to deliver them the secret of its divine elixir, its beauty protected by a sculptural glass case, Nejma vibrate such a promise of eternity. 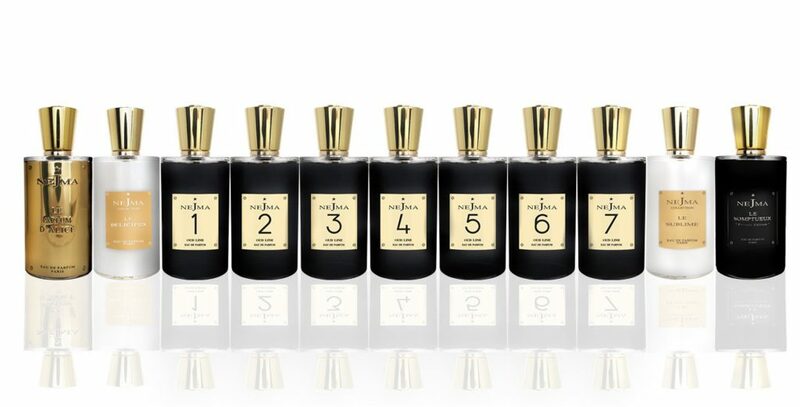 More than a Name, a Myth Perfumes. During a journey to the Far East Marie-Lise Bischoff attends the reading of an Arabic tale and falls under the spell of her heroine. 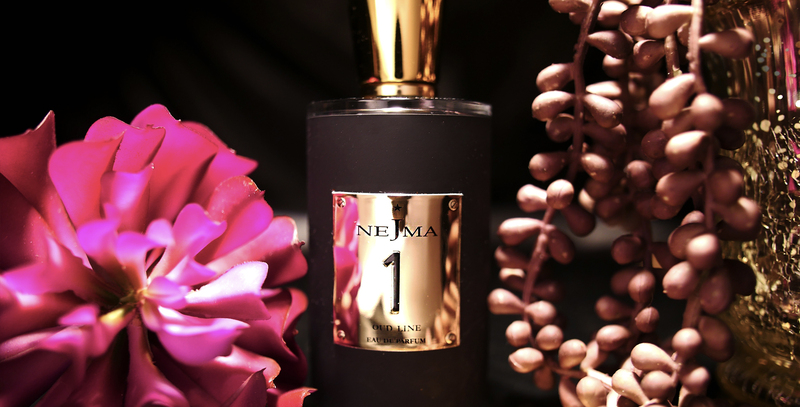 Nejma (fate or coincidence), a creature of radiant charm and an unseizable beauty which like a muse inspires her to create a very new line of perfumes. Captured by privates to be finally sold on a slavery market, it is Nejma among other magnificent captives, the Vizier will choose for her stunning beauty, her spontaneous sweetness and the enchanting perfume naturally exhaled by her body. Of the union of Nejma and the Vizier, were born 7 girls, every one magnificent. To pay tribute and to immortalize their mother, each of them tried to recreate the maternal perfume. 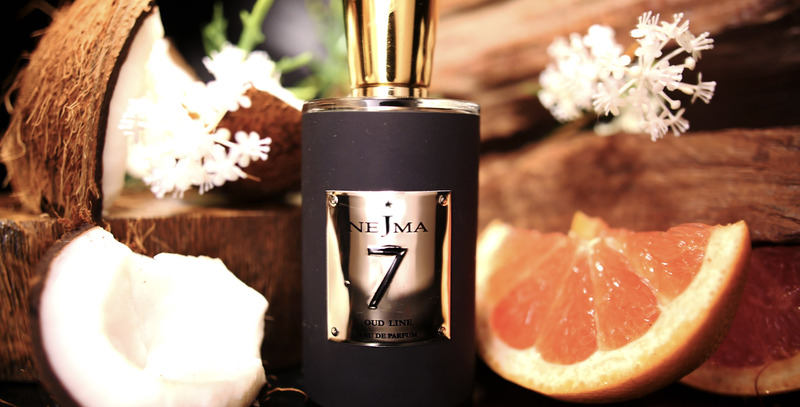 This is the way seven fragrances were created, mixing different ingredients but always accompanying the Aoud in the precious and hot scent, of oriental charm. 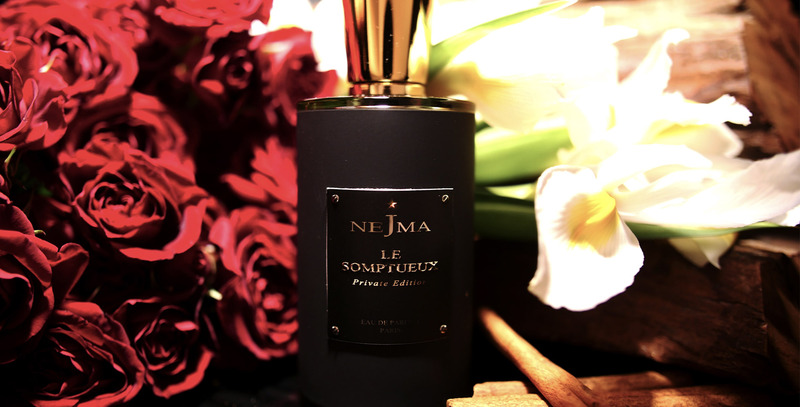 The Universal fragrance Nejma is resolutely mixed so that everyone can find which one reveal at its best each personality and will accompany her during days, seasons and years. Nejma more than a flask, a jewel. When aroma rhymes with art, when a perfume shop becomes a jewelry. A Unique Symbol, a signature. The symbol of the star engraved in gold on every flask like a seal, a brilliant light in the infinity, the universal symbol from one country to another we have named it nejma, star, zvezda, stella, stern, bintang. Such a Pharaonic sculpture representing the antique, modern and timeless pyramid, the flask by the purity of the lines, where only the declining colors determine its destination, is a flask, a jewel by the majesty of the graphics. Tanagra creature in a prayer or raising itself from its square base anchored in the earth, representing the four elements, four cardinal points and climbing towards the firmament, offering to the gods a rest in the light of eternity. The black and gold flask, of a sober luxury touch, sensual, contains in its heart the soul of Nejma.